The independent has reorganized its holding company with an eye towards more service offerings and international expansion. SAN FRANCISCO — Revenues at the W2O Group were up 10% in 2014, amid a re-evaluation of the group’s structure and culture that led the independent to make a range management changes. W2O’s companies — WCG, Twist and Brewlife — totaled $82.6 million in 2014 with 425 people across 10 offices in the US, London and EMEA. This figure is up from $75 million in 2013. After two consecutive years of growth exceeding 20%, CEO Jim Weiss told the Holmes Report that in 2014 the holding group deliberately slowed down to take stock of its culture and output amid rapid growth. As part of that, W2O Group has reorganized its leadership team, including clarifying president Bob Pearson’s role within the group by adding chief innovation officer to his title. Specifically, this puts him in charge of bringing the firm’s software and technology offerings to market, incubating new practice areas, offices and talent. WCG’s head of technology Aaron Strout is now president of the holding company’s largest agency, WCG, signaling that its technology practice - which includes HP, Verizon and Intel — will come to forefront. The WCG president role was formerly held by Chris Deri. Meanwhile, former president of Twist Marketing Jennifer Gottlieb joins the firm’s four-person executive team as chief operating officer and head of client service. W2O’s EMEA lead Annalise Coady takes over as president of Twist, charged with making its offering more global. 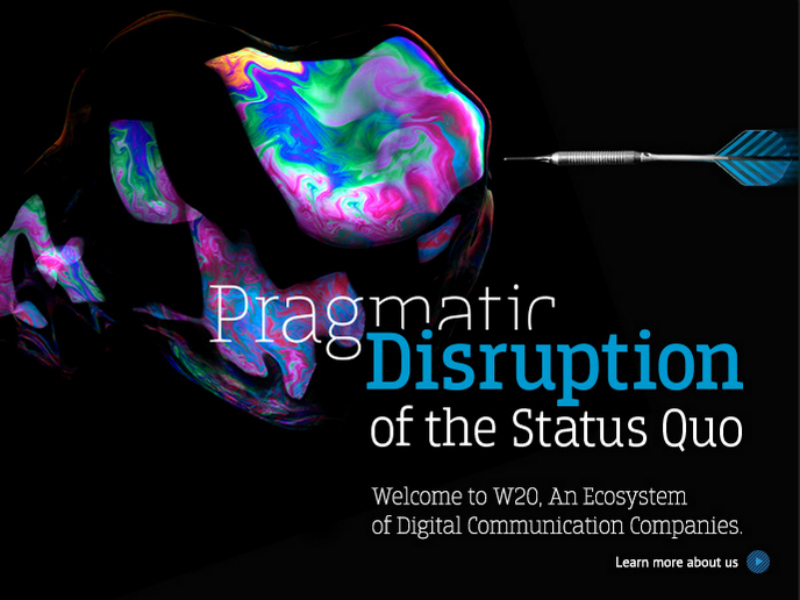 While W2O’s roots are in healthcare, in recent years the firm has made a bigger name for itself around its analytics and digital capabilities. The firm is moving that offering into a yet-to-be-named insights company that will service its stable of firms. Paul Dyer, who is credited with launching W2O’s foray into social media, will lead this business working closely with newly promoted managing director Seth Duncan. Among W2O’s software-enabled offerings are MDigitalLife, a database that stores more than 500,000 digital footprints of doctors, patients and health systems from around the world. According to W2O, MDigitalLife is used by nearly 70% of the world’s pharma companies. In other changes, former Brewlife president Paulo Simas joins Gary Grates to lead a global business design practice centered on differentiated branding and reputation work that is supported by the firm’s analytics, insights, creative, digital technology and media planning capabilities. Carolyn Wang takes over as president of Brewlife. Chief creative officer Mike Hartman expands to take on strategic account planning and digital agency services like customer user experience, e-commerce and social CRM. He’s also to work on the firm’s media and engagement and entertainment offerings via W2O Group Films. Among the investments the W2O Group made in the last 12 months were opening five new offices: Boston, Chicago, Silicon Valley, San Diego and Seattle with another office on the way in Basel, Switzerland. In 2015, W2O has made two acquisitions and brought on Dorinda Marticorena to launch an entertainment practice in Los Angeles.